MHD Herd - Maverick Hill Dressage LLC. 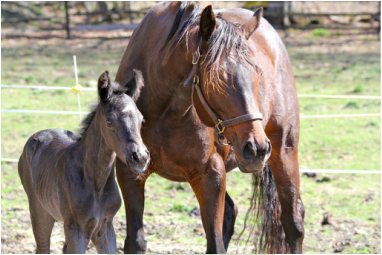 Ava Gardner, is the newest addition the the Maverick Hill Dressage "herd". She is by the prestigious Oldenburg stallion Sandro Hit and is out of Ann- Karina. Thank you so much to Kathleen Fuller for making this partnership possible. Elton, is an American Dutch Harness horse who is owned by Carrie Maynard, of Pomfret, Vermont. He is currently competing at the Intermediate level in Combined driving. We have very high hopes for this young horse and so excited to see what his future holds. He has competed internationally and has proven to be a successful combined driving partner, who shines on the marathon phase of the event. Go Elton! Ghambade, is sired by Rolling-stones farm stallion Gold luck. Thank you to Kathleen Cronk for making this partnership possible and to all my friends and sponsors who continually support me along our journey. Ghambande, has retired form the Grand Prix level and is currently a schoolmaster for the MHD lesson program. Ch. Everwind's A Tryst In The Park- "Trystan"
Countyline's Everybody Has A Dream-"Charlie"
Everwind's Got A Keen Eye - "Keena"
North Carolina Ditch dog. AKA best birthday present ever!